UK investigators looked at 165,000 patients on statins and found that for one in two, the drugs had too little effect on bad cholesterol - one of the big risk factors for heart disease. "Bad" low-density lipoprotein (LDL) cholesterol is a major contributor - it can lead to furring and blockage of blood vessels. Are statins the best choice for me? Half of the patients - 84,609 in total - did not see their cholesterol go down by enough - the required 40% or more reduction specified by guidelines - even after being on the daily treatment for two years. Experts say the study findings are somewhat limited because they cannot prove that patients who do not respond well to statins will necessarily fare worse as a consequence. Other factors - like smoking and obesity - also raise cardiovascular risk. "However, for the other half - whether it's due to your genetic make-up, having side effects, sticking to the treatment or other medications - we don't see that intended benefit." Prof Metin Avkiran, associate medical director at the British Heart Foundation, advised: "Statins are an important and proven treatment for lowering cholesterol and reducing the risk of a potentially fatal heart attack or stroke. 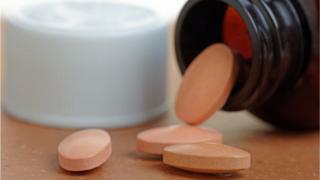 "If you have been prescribed statins, you should continue to take them regularly, as prescribed. If you have any concerns you should discuss your medication with your GP. There are now other drugs available to help lower cholesterol levels, and it may be that another type of medication will be an effective addition or alternative for you." Prof Helen Stokes-Lampard, chairwoman of the Royal College of GPs, said: "When we prescribe medication, we have to rely on patients to make sure that they take it, both at the recommended dose and for the duration of time that we think will benefit them most. "There is a substantial body of research showing that statins are safe and effective drugs for most people, and can reduce the risk of heart attacks and stroke, when prescribed appropriately - but controversy remains around their widespread use and their potential side-effects. "There are complex reasons why patients choose not to take their prescribed medication, and mixed messaging around statins could be one of these." Reality Check: Who should take statins?